Some time ago, I saw the movie “The Founder”, a film about how McDonald’s became what it is today. Originally a small-scale restaurant chain run by the McDonald brothers, enterprising businessman Ray Kroc was hired to supervise the creation of more restaurants. Reluctant to expand the chain after a previous attempt failed, the McDonald brothers set many restrictions on what Kroc could do. However, as Kroc expanded the chain to a nationwide level, he bypassed many of those restrictions. As he lost the McDonald brothers’ trust, it sparked a bitter feud as Kroc and the McDonalds fought for control. In the end, Kroc relabeled himself as “The Founder” of McDonald’s. 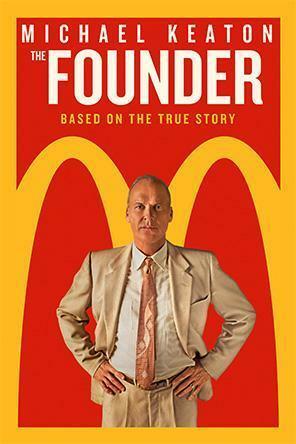 By far, the best part was Michael Keaton’s convincing and lively portrayal of Ray Kroc. Without it, the movie may not have been nearly as interesting. One particularly good scene was where Kroc tried to make the employees’ efficiency better. Drawing out the floor plan of a McDonald’s on a tennis court, he had new employees act out their jobs on the drawing. “The Founder” shows how persistence can lead to long-term success and offers some savory details on how Ray Kroc made McDonald’s into a food empire.